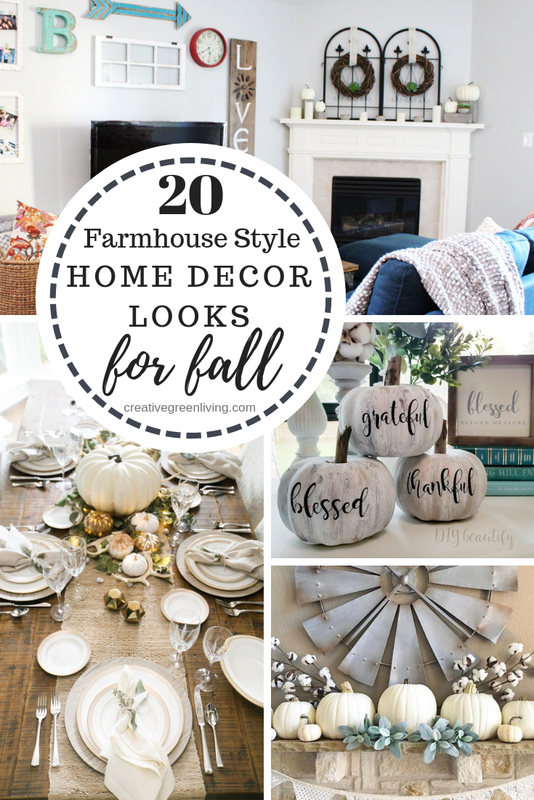 To help you get started with your fall decor shopping, I may include affiliate links below to items I love. Any items bought after clicking the link may result in a small commission for me. This is my living room! To dress is up for fall, I swapped out my spring pillows for cozy fall pillows from World Market. I also added different sizes of white pumpkins to my mantle. It looks like Liz loves white pumpkins as much as I do. She went all-in with her pumpkin decor by crafting a giant basket full of them! Check out how dreamy her photo wall is! 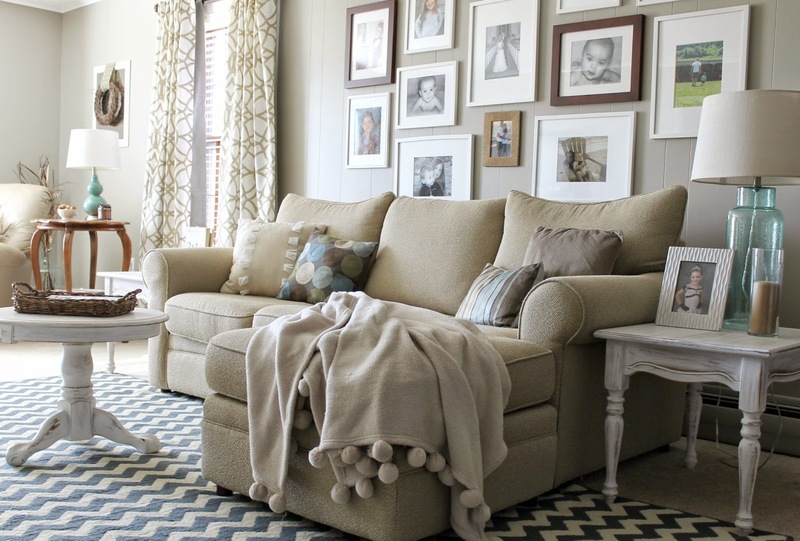 I love how her living room has a mix of cozy and rustic features like this twig style basket and this cozy pom pom throw. 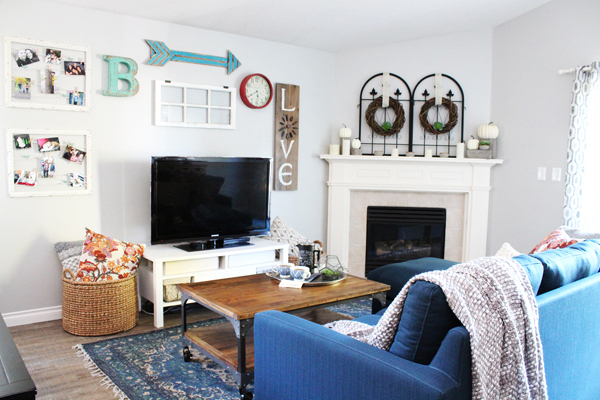 Ashley does such a great job nailing farmhouse style home decor! I am extra in love with her entryway (which if I remember correctly has previously been featured in Better Homes and Gardens!). 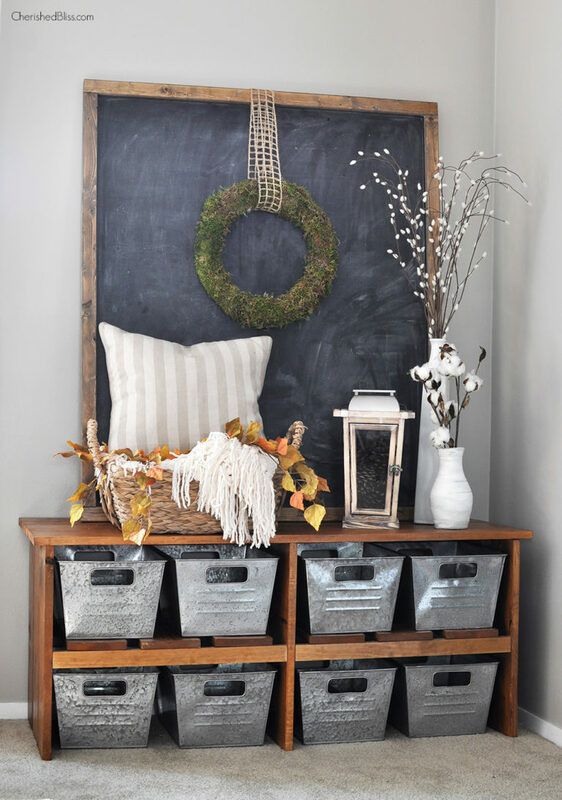 I recently saw similar rustic galvanized style organizing bins on Amazon if you are looking to do some fall decorating yourself. Really, her entire home tour is incredibly dreamy so be sure to go check it out if you are looking for fall home decor inspiration. White is so big in farmhouse decor style. 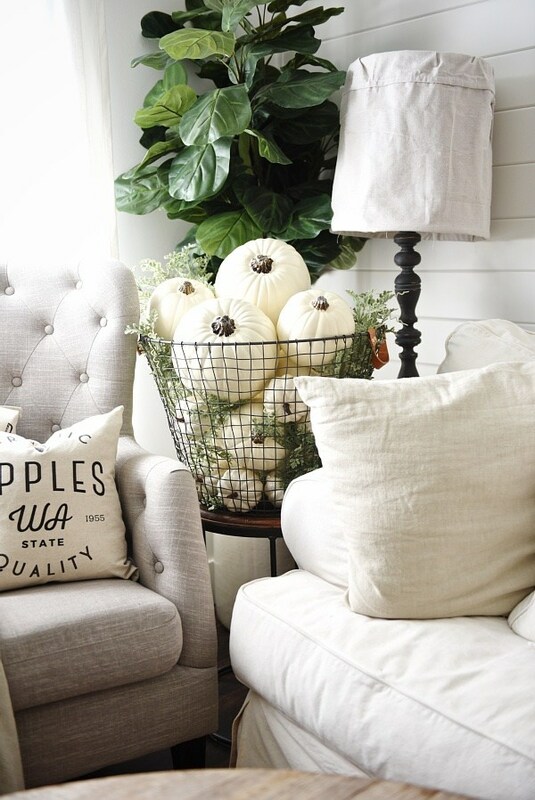 Especially in the fall when you start adding pretty white pumpkins to your already dominantly white room. I really love the look of logs stacked in a fireplace like this. 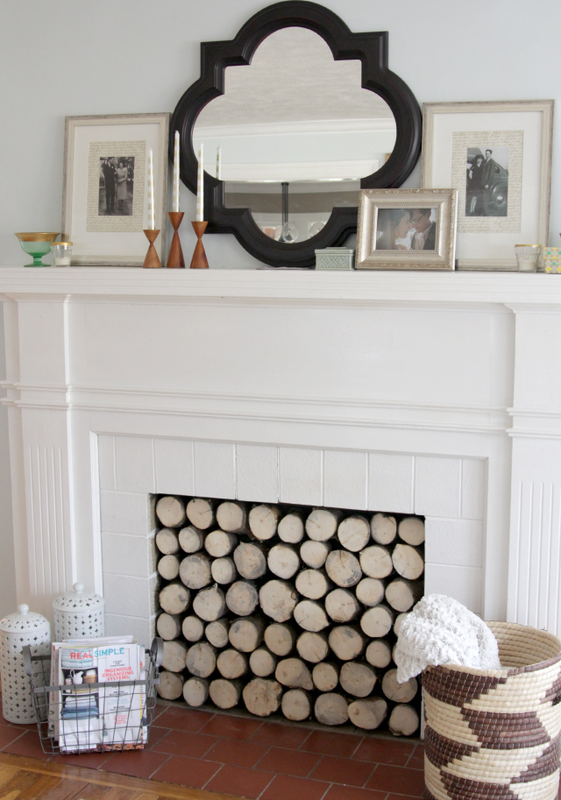 If your fireplace isn't functional for actual fires, or if it's not quite fire season and you need a cute way to dress it up while it doesn't have a fire, try this! 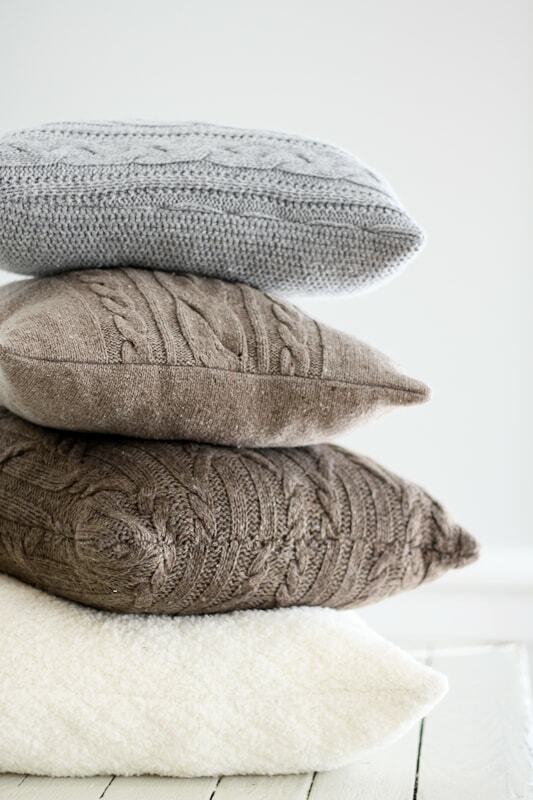 I'm a huge fan of all things re-purposing so of course I am in love with these snuggly pillows from Tidbits. Clean out your closet, break up with your holey sweaters. 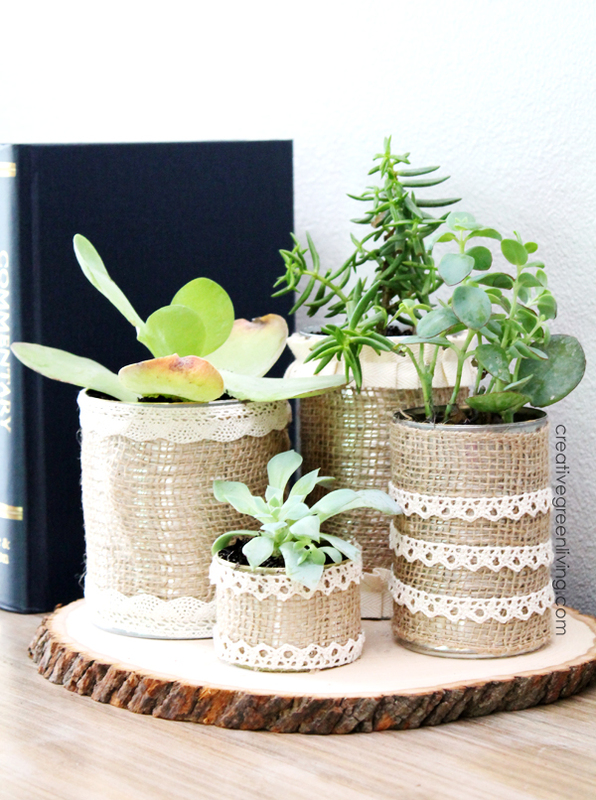 Turn them into the perfect snuggly farmhouse accessories for your living room this fall with this step-by-step tutorial from Tidbits. Nicole from MyAutumnFarmhouse looooves her Rae Dunn pottery and mugs. She dressed them up on her farmhouse style tray with ceramic pumpkins, a doily and some greenery. 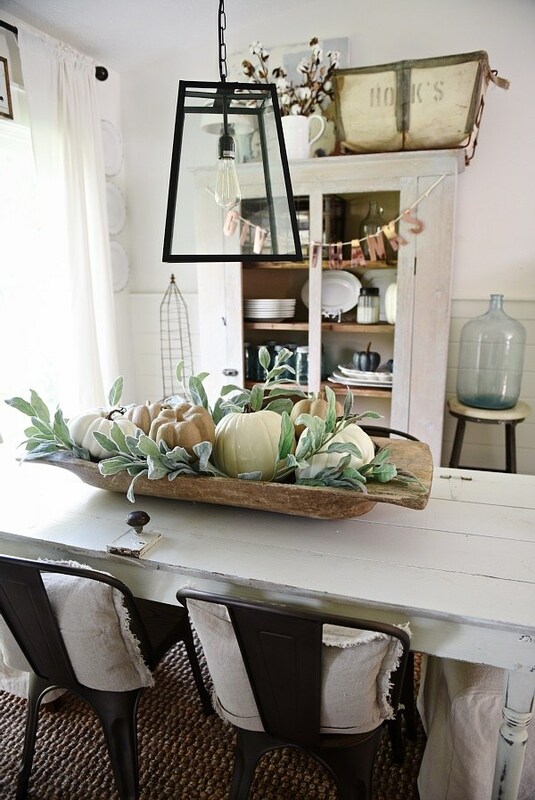 This look is easy to pull off at home with some farmhouse decorating basics. 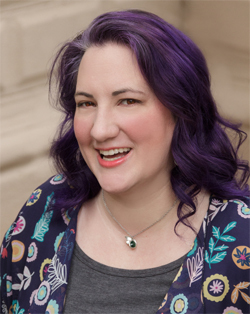 Warning: some Rae Dunn pieces may contain lead. 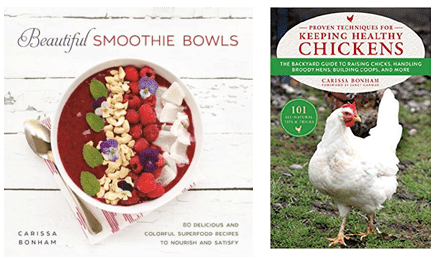 Our official recommendation is that your Rae Dunn collection remain decorative. 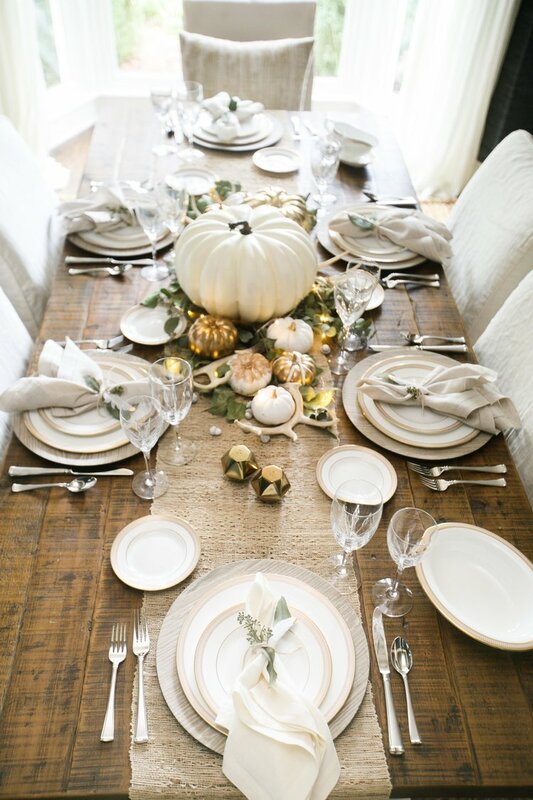 If you are hosting Thanksgiving or any other dinner party at your house this fall, you will love these romantic fall tablescape from Living with Landyn. 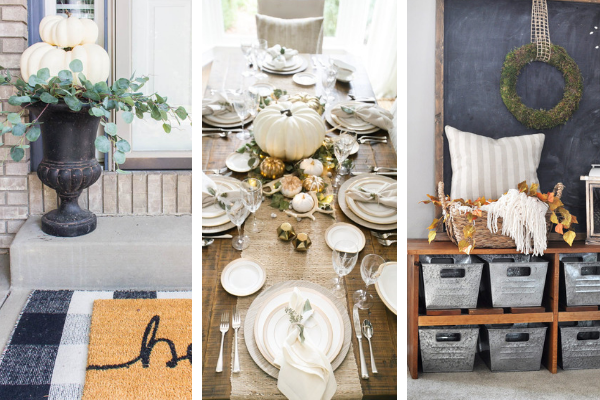 Pop over to her Thanksgiving table set up post to see how she made the centerpiece. To try to duplicate the look of the place settings, try a loosely woven table runner topped with these driftwood chargers from World Market. On top of that, add a dinner plate and salad plate from this rustic rimmed plate set, a linen napkin tied with a piece of string and a piece of greenery tucked inside. On her blog, Kimberly teaches you how to buy a brand new, shiny bucket from the store and give it an aged patina look with paint. No old, rusty, leaded garage sale find required! She'll also walk you step-by-step through stenciling a fun label on the front. I have met Taryn personally and in addition to thinking she is a lovely person, I really love her style! 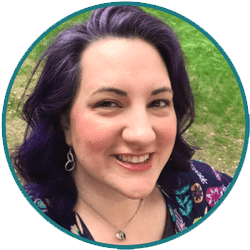 She's a pacific northwest girl like me and the rustic, northwest style touches come through in everything she does. 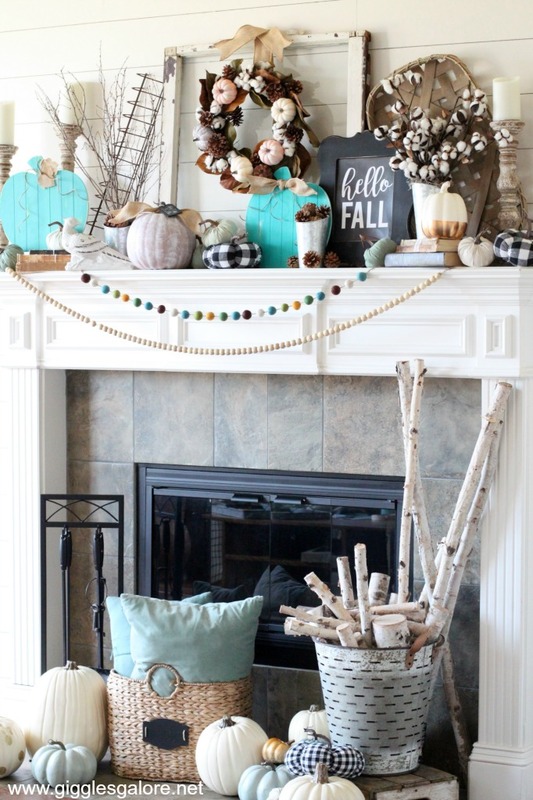 Her fall fireplace and mantel project is no exception. 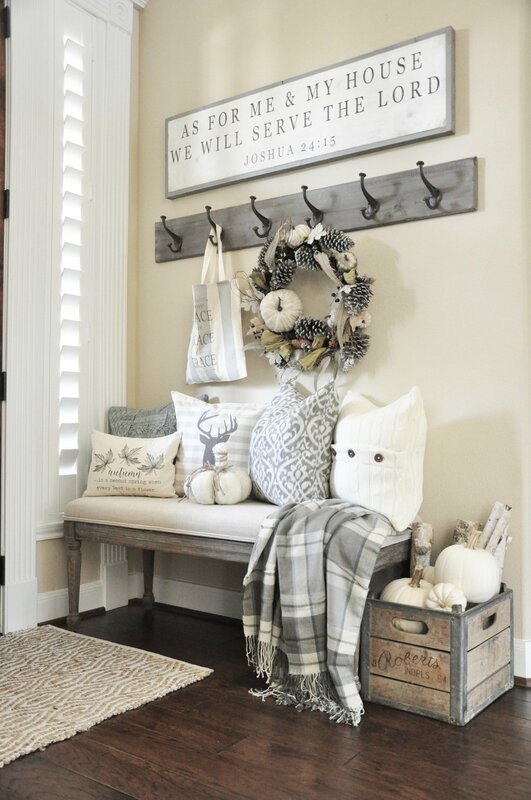 I love the rustic sign, the crate, the logs, the white pumpkins - all of it! 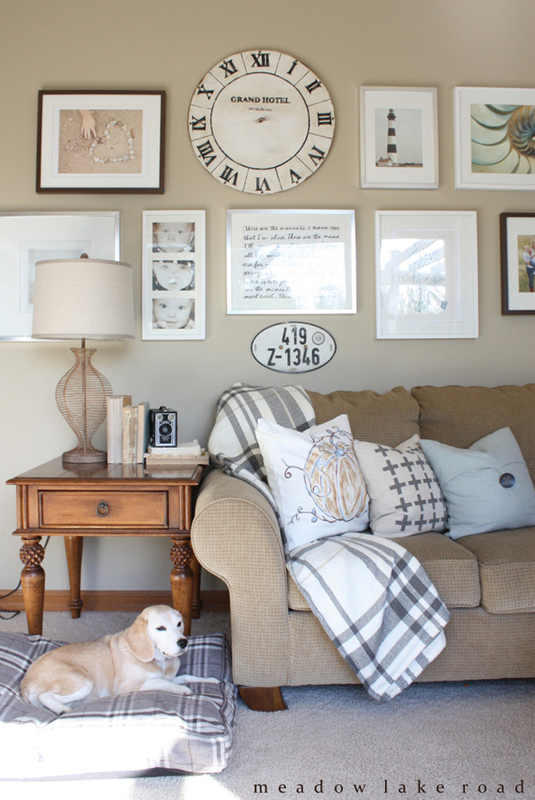 Unfortunately the Meadow Lake Road website appears to be down but I do have this dreamy living room picture I posted about in 2016 on my inspirational farmhouse living rooms post. I love all the cozy fall details she added to her couch. The DIY pumpkin topiary Laura made for fall is so cute! I love that she matched it with a double layered rug as well. 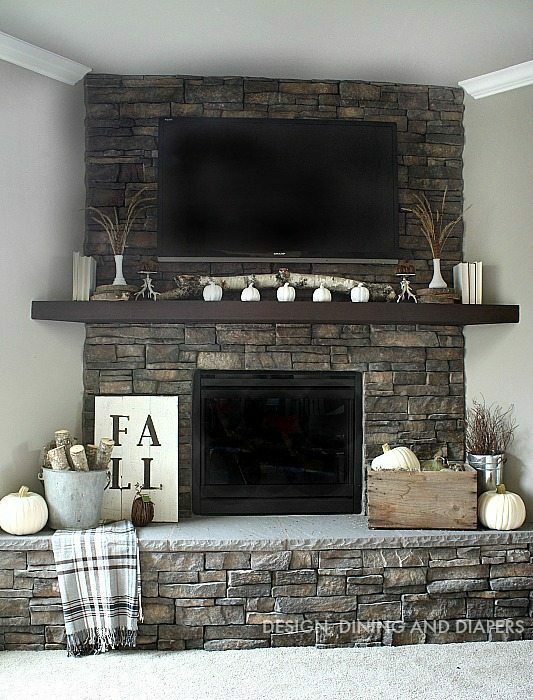 I love this light and bright farmhouse style fall mantle. The white pumpkins, the windmill, the lace banner. All of it together creates a light and bright fall look I love! 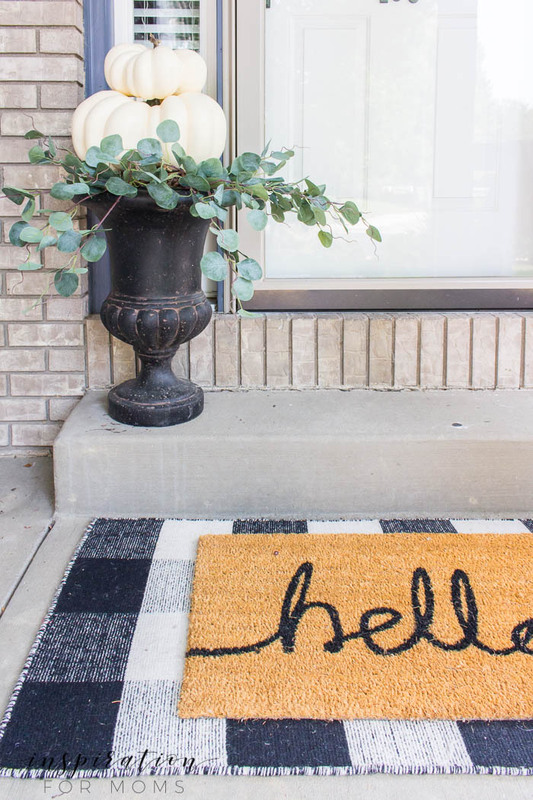 This entryway feel light and bright and super cozy. I especially love her wreath featuring pine cones and white pumpkins. Sometimes the light, sun faded farmhouse decor look really needs a bit of color! I love that when Mariah from Giggle Galore did here fall mantle decor this year, she added some pops of color! From the lovely wool ball garland to the pops of teal, I think the color palette of this rustic look is perfectly balanced. Beautiful, rustic, farmhousey - none of these are words one might normally use to describe the fake foam pumpkins available from the dollar store each fall. If you are a DIYer on a budget, though, there's no better place to get starter pumpkin forms! Cindy from DIY Beautify shows you how to turn your blah dollar store pumkins into "Ta-da!" 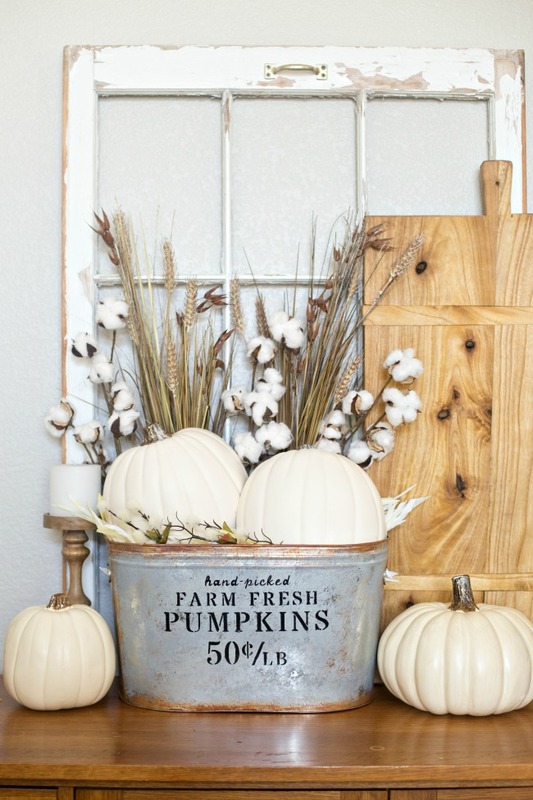 beautiful pumpkins fit for any farmhouse or rustic decor scheme. 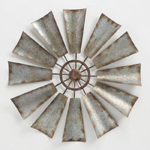 With a degree in interior design, Liz Marie's decor projects are always beautiful and on-trend. 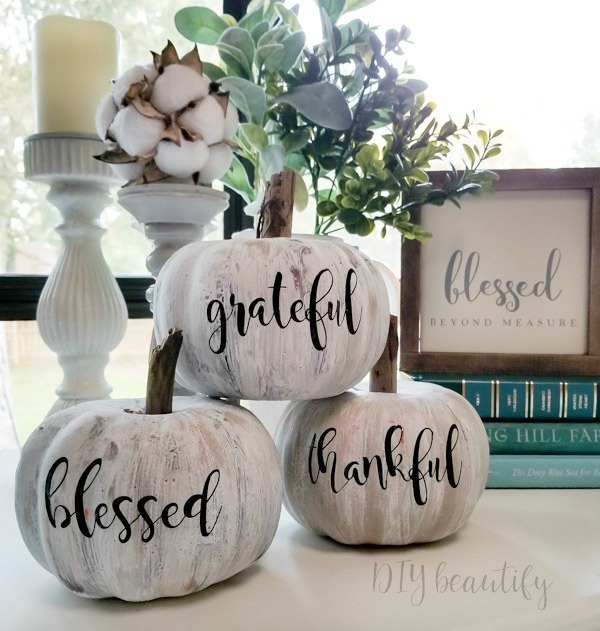 In this post on her blog, she shows you how to decorate your farmhouse for fall with a rustic bread bowl filled with greenery and a menagerie of pumpkins. Even though this home tour is from the 2016 season, Lucy from Craftberry Bush really nails it with beautiful, light and bright fall decor that looks like it hopped out of a magazine! 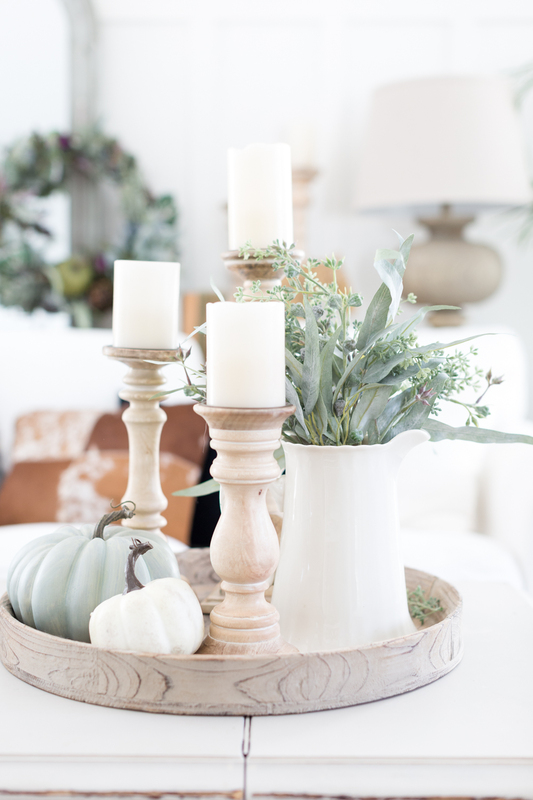 I especially love this tray vignette featuring a rustic pitcher, candle holders and pumpkins. Be sure to click over to the post to see her whole, beautiful house! So much great inspiration; thank you! !